DIN Standards are invented for a variety of components including industrial fasteners as DIN 6923 Hexagon Flange Nuts. DIN 6923 Flange Nuts are manufactured from Acid-Resistant Stainless Steel Grade A2 or A4, Brass, Alloy Steel, Plain Steel Ordinary alloy steel, Aluminium or many other materials. DIN 6923 Nuts are available in a wide range of sizes, shapes and materials. DIN 6923 are Nuts with Flange. The Flange can be made of both with incisions at the end and without incision. The presence of notches prevents the spindle from unintentionally unscrewing at the impact of dynamic loads on the products. This is achieved due to the increased effect of frictional forces at the point of contact between the nut and in the clamping element. The Strength Class is 8, 10 or 12. Complies with GOST 50592, ISO 4161, ISO 10663, EN 1661 and EN 14218. 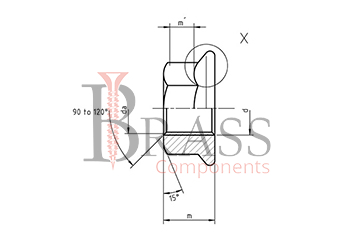 The increased mounting area on the flange side allows to reduce pressure on the attached part. Zinc Coating on the DIN 6923 Nuts allows to be used in environments with normal and high humidity. Excellent physical and mechanical characteristics which allows to be used without lock washers. Recommended to be used with metric fasteners including bolts, screws and studs. Designed to provide a larger clamping and locking force than a standard hex nut. Used in engineering, construction, repairing, high-quality connection and fastening of various parts and assemblies. Used for assembling units in the Machine Building, Instrument Making, Automotive Industry, Production line and many other various uses. 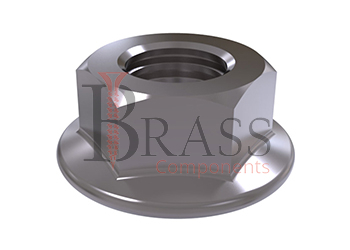 We manufacture DIN 6923 Nuts as per Custom Specification and export in France, Italy, Switzerland, Poland, Greece, UK and other European Countries. For more Information, Please Contact Us or Inquiry Now.